Want to see the city of Atlanta in the most peculiar way? Atlanta's incredible street art lines the sidewalks, tunnels, and buildings throughout the city and has now become part of the urban culture. This tour includes the best Street Art of Atlanta, some of Atlanta’s brand new art on the Beltline Instillation and a visit to the historic sites of Atlanta. 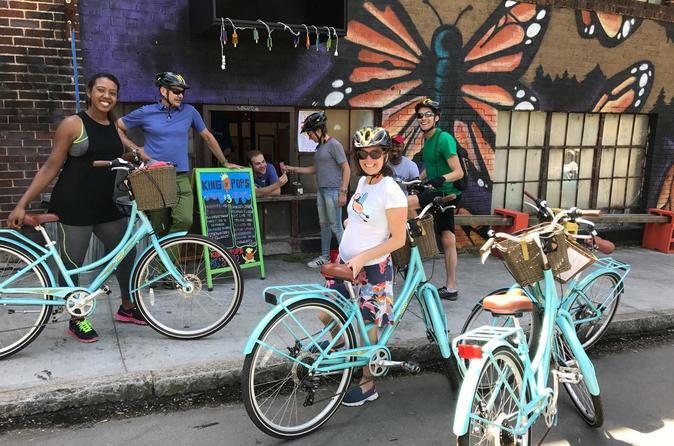 This exciting street art bike tour departs from Cafe and Velo. Please arrive 15 minutes early as before you leave you have paperwork that you are required to sign before joining us. This unique tour not only gives you a tour of Atlanta street art, but you are going to get insight into the story behind the art directly interpreted from the artist. The guide also incorporates the history and happenings of Atlanta by making stops to historic sites and you also stop by places that are well on their way to making history. Bike Rentals: Bike Rentals are available upon request. Because this is a mobile tour company, bikes must be requested upon booking.